The quest for water security took a step forward following the launch of a clean water alliance between Masdar, Abu Dhabi’s renewable energy company, France and other members of the International Desalination Association (IDA). H20 minus CO2 was set up during the COP21 UN climate meeting in Paris, France. As a founding signatory of H20 minus CO2, Masdar called upon governments as well as energy, water and related industry stakeholders including laboratories and research organisations, universities and NGOs to join the alliance. Those who have already pledged support to the alliance include stakeholders from industry, research institutions, universities and other organisations from Australia, Belgium, China, the Comoros, France, Germany, Greece, India, Indonesia, Italy, the Netherlands, Japan, Saudi Arabia, South Korea, the UK, the US and Singapore. Masdar said the H20 minus CO2 was launched as a collaborative global climate initiative and one of the key components to the Lima Paris Action Plan. It has an initial group of more than 80 signatories from government as well as the public and private sectors. With access to drinking water already a major challenge for as much as one quarter of the world’s population, and further forecasts predicting that by 2030, 47 per cent of the global population will face water scarcity, the alliance is one of the few climate initiatives dealing with the water-energy nexus and climate change, it stated. Its goal is to seek solutions that will substantially reduce the projected increase in CO2 emissions from the desalination process, as global demand for drinking water continues to grow. The action plan could see a decrease in emissions from 50 MT CO2 up to as much as 270 MT CO2 per year by 2040, said a statement from Masdar. The action plan includes obtaining amplified commitment by all alliance members to use clean energy sources to power new desalination plants and to retrofit existing plants, whenever possible, it added. Further focus is on improved energy efficiency of desalination processes, increased efforts on R&D and demonstration projects, better dissemination of innovative technologies, capacity building and analysis and formulation of adequate policies and regulatory frameworks. The concept note of the alliance underlines that the initiative will ensure that sustainability of the entire desalination process is taken into account beyond the sole issue of energy sources. Commenting on the initiative, Masdar CEO Dr Ahmad Belhoul, said: “The UAE government has long recognised the potential impact of climate change on the future of the country and the region. “It was in fact the first country in the region to set renewable energy targets and has recently announced a commitment to increase clean energy to 24 per cent of the country’s total energy mix by 2021. In recognition of our responsibility in helping to ensure water and energy security, Masdar’s association with the alliance, clearly demonstrates our dedication to transforming the climate change narrative. Belhoul said as one of the most water-scarce countries on the planet, the UAE is investing heavily in cutting-edge technologies to improve the energy efficiency of the desalination process. 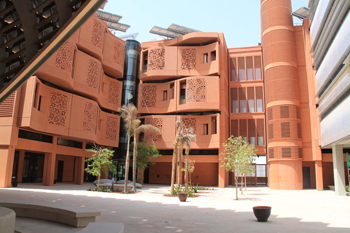 “This is an integral part of Masdar’s remit as we continue to provide a platform for the development and deployment of renewable energy and low-carbon technologies locally, regionally and globally – while creating a new clean energy growth-generating sector in the emirate of Abu Dhabi, and the greater UAE,” he added. IDA secretary general Patricia A Burke said the association was proud to be a founding member of the Global Clean Water Desalination Alliance. “We have long been a champion of environmental responsibility in desalination practices including lower energy consumption and an increase in the use of renewable energy to power desalination, resulting in the reduction of CO2 emissions. This has been a goal of IDA’s Energy and Environmental Task Forces, and we believe that the GCWDA initiative will bring us ever-closer to realising this objective,” she stated. Belhoul said Masdar was already spearheading innovation on water desalination through the development and activation of advanced and innovative desalination technologies with significantly enhanced energy efficiency. The Abu Dhabi firm had recently launched a groundbreaking pilot seawater desalination programme targeted at dramatically reducing the energy intensity of desalination. The project offers four viable solutions for renewable-powered energy efficient desalination, transforming the desalination industry into a more sustainable model that can be used across the globe. Phase One of the programme will concentrate on demonstrating energy-efficient systems on a small scale for at least 15 months. These technologies have never been used on a utility scale anywhere in the world.